Terry Allen Carr passed away on Wednesday, November 7th, 2018, after a short illness in Eau Claire, WI; the same town in which he was born on September 24th, 1948 to parents Henry Charles Carr (Minneapolis, MN) and Jean Arlene Webster (Fall Creek, WI). An amazing man, Terry dedicated his life to the service of others, starting with his time in the United States Air Force during the Vietnam War. Terry’s military service last from 1966-1971. His desire to serve others didn’t end there, however; Terry went on to become a Journeyman Firefighter and Paramedic in Beloit, WI. In his years on the department, Terry touched countless lives. The number of people who can say their lives were better for knowing him, however briefly, is endless. Even after he left the department, Terry still had not finished helping others. He received his Doctor of Chiropractic from the Palmer College of Chiropractic in Davenport, IA. With his degree, he helped others through his own clinic that he owned with his wife in Mayville, WI, the Carr Chiropractic Center, and then through the SpinalAid Centers of America in Eau Claire, WI. In 2015, he finally retired and spent the next three years traveling the U.S. with his wife in their camper, visiting 30 different states. Terry married Deborah Lou Zumstein on June 17th, 1972 and dedicated whatever time wasn’t spent with his patients to his family. Terry is survived by his wife of 46 years and his three children: Amanda Jane Cossey-Hicks (Mark) of Devon, England; Scott Allen Carr (Karina) of Norton Shores, MI; and Kelly Carr of Janesville, WI. Terry also has the love of his five grandchildren. 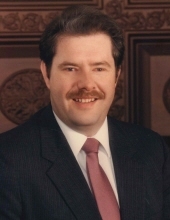 Terry will be remembered by his siblings: James (Virginia) Carr of Orfordville, WI; Darlene (Timothy) Schroeder of Janesville, WI; and Nancy (Kevin) Hartman of Coral Gables, FL. His many nieces and nephews will carry him in their hearts as well. Terry has joined his parents and twin granddaughters in Heaven. The funeral service will be on Monday, November 12, 2018 at 3:00 at Valleybrook Church (412 S. Barstow, Eau Claire, WI) with visitation from 1:00-3:00 on the same day. Terry will be buried on Tuesday, November 13, 2018 at 2:00 pm at Potter Cemetery in Summit Township, Mauston, WI. The service will be conducted by Pastor Nathan Abaun. "Email Address" would like to share the life celebration of Terry Allen Carr. Click on the "link" to go to share a favorite memory or leave a condolence message for the family.